Make the most your stay in the capital of the Incan Empire. Once the capital of the Inca Empire, Cusco lies at the heart of the Peruvian Andes. Most tourists pass through on their way to Machu Picchu, but there’s so much more to discover. I spent over two weeks in the city (thanks to Serpost). Here’s what I discovered. There are literally hundreds of hotels, hostels, and guesthouses in Cusco at all price levels. Of course, where you stay will most likely depend on your budget, but either way you’ll want be in and around the Centro Historico, the historic old town centre. Jamuy, on Calle Arcoiris 455, is a good call for low cost accommodation, and very close to Plaza de Armas. A double room with en-suite overlooking the old town will cost around £12 per person per night. A dorm less than £6. For cyclists and bikers, then Hostal Estrellita, on Tullumayo is the place to be. It’s an old Hospedeje with good size courtyard for storing bikes and motorcycles. The rooms are basic (very basic), and the facilities are shared, but it’s good place to meet like-minded travellers, and a sound location for exploring Cusco. Be warned though, this place does get busy, and is hard to leave. During my stay countless other guests left only to return for one reason or another, or planned to leave but ended up staying longer than they intended. Still, it’s low cost, and offers a good free breakfast. Though for a real treat, pop next door to the French-style bakery. It’s easy to find a lunch for as little as $2 USD, but what sets Cusco apart from neighbouring countries is the sheer variety of food on offer. If you’re tired of the regular South American affair, you’ll have no problem finding high quality international cuisine here. Whether it’s Thai, Indian, Chinese, American, Japanese, you name it, you can probably find it in Cusco. There are literally thousands of places to eat in Cusco, but here are a few of lesser known gems I enjoyed during my stay. If high quality locally grown food is your thing, then this is the place to come. The service is excellent, which isn’t always the case in South America, and the food is sublime. Tucked way just a block from Plaza de Armas, this little gem of a place, offers a fantastic range of dishes made from locally grown produce from the sacred valley. Street food is a great way to save time and money when on the go, but after a morning of sightseeing, sometimes you just want to take a load of. For that, Kracio is perfect. This small sandwich bar may have a menu as small as its prices, but the sandwiches they do make are great. The brownie is also excellent, but for dessert I recommend the bakery just a few doors down, with its range of fantastic cakes. Living in the UK, I’ve enjoyed some great Indian cuisine. To my mind this place is right up there with some of the best. 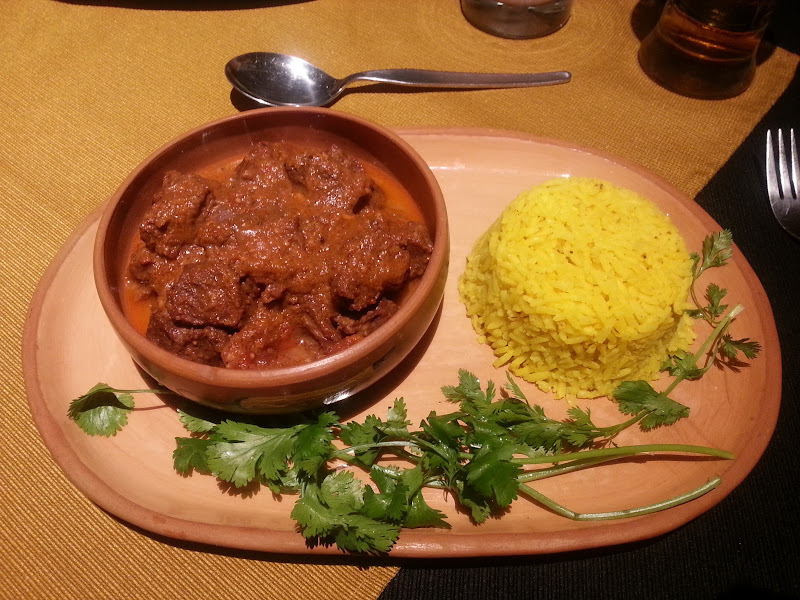 If you’re tired of South American food, and crave a bit of spice of in your life, then Korma Sutra makes a great change from the usual affair. This is a traditional family run restaurant and pizzeria with stone oven. Typically South American, the service is slow, but the pizza is cheap, and what’s more, it’s awesome. 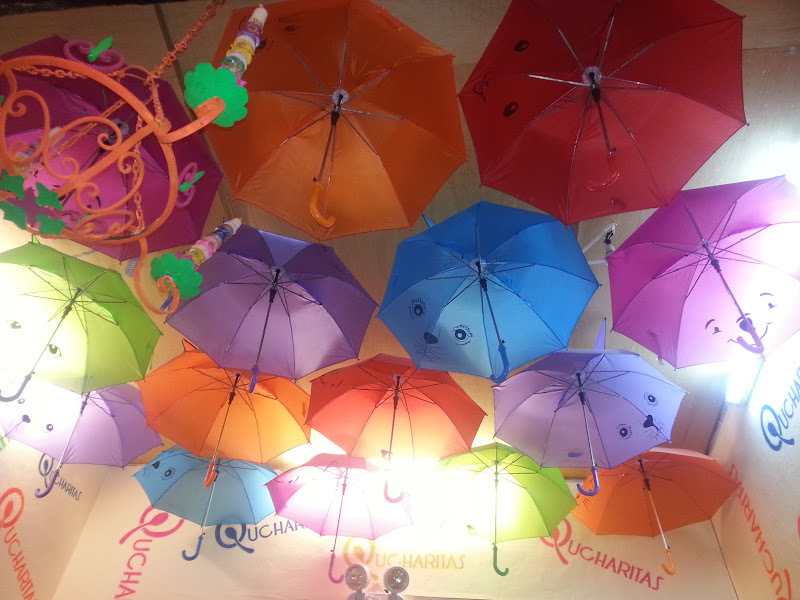 Whether it’s crepes, ice cream or a combination of the two, Qucharitas is undoubtably the best place for dessert in all of Cusco. It goes without saying that Machu Piccu is major attraction in this part world, but there’s still plenty to see and do in Cusco and it’s surrounding areas besides Machu Piccu. Is the main town square and the beating heart of Cusco. Yes it’s over crowded, yes it’s full of touts, and tourist traps but it’s worth a visit nonetheless. Not least because it’s a great place to orientate yourself in the city, and gain a respite from Cusco’s narrow cobbled streets. Most of the sights, restaurants and places of interest in Cusco are easily reached from here, if not on the square themselves. Cusco Cathedral is an UNESCO World Heritage Site, and impressive display of Gothic-Renaissance architecture. It’s also one of the city’s greatest repositories of colonial art. Situated opposite the fountain on Plaza de Armas, it makes a great meeting spot for friends in the City. Opening hours for non-worshipers are from 10am to 5:45pm, and admission is 25 soles per person. An ancient Incan citadel just a stones throw away from downtown Cusco. High up on the hills behind the city of Cusso, the walls of Saksaywaman can be seen from Plaza de Armas. Saksaywaman itself is an old Incan citidel famed for its remarkable large dry stone walls with boulders carefully cut to fit together tightly without mortar. If you’re looking to do something a little more active before you set off to Maccu Piccu, how about a hike to Cristo Blanco? Towering above the city, the Christ the Redeemer statue was gift from Arabic Palestinians who sought refuge in Cusco after World War II, and is a popular attraction for visitors to the city. Getting there is easy and free. Start from any point in town head towards the hills. Saksaywaman is on the hill on the left, whilst Christo Blanco is on the right. Both can visited within a morning, though there is a fee for the former. Just 30km from Cusco on route to Pisac the Ccochahuasi animal sanctuary serves as a rehabilitation centre for various indigenous species. The centre houses llamas, alpacas, parrots, pumas, and wild cats, but the stars of the show are the three huge condors, that you can almost get close enough to touch (don’t touch them though). Entrance to the sanctuary is around 10 soles per person, and that includes a guided tour. City tour guides/buses don’t stop here as the family that runs the sanctuary can’t afford to pay them. As a result, the centre depends on admission fees, donations, animal friendly products sold in the souvenir shop, for it’s survival. There is little or no help from the Peruvian government. Okay, so it’s not in Cusco, but the small village of Maras is just 40km and accessible via paved roads. The drive through the hills and mountains that make up the sacred valley is spectacular in itself. The salt pans themselves are a little way outside the village accessible only via dirt roads. This part of the journey too offers up some spectacular views of 5,000 or so individual pools. Salt has been harvested here since pre-Incan times, and is collected by evaporating salty water from a natural underground spring. It’s a co-operative system worked by the local community. The great thing about this is that you can get right up close. Walk between the pools and even chat to the locals working them (some are more friendly than others). Entrance to the area costs just 10 soles, (about £2), making the Salinas a budget friendly half-day out. The best time to visit is early in the morning or a couple of hours before sunset. During mid-day the glare from the salt can be oppressive. Bring sunglasses, strong sun screen, and a packed lunch. 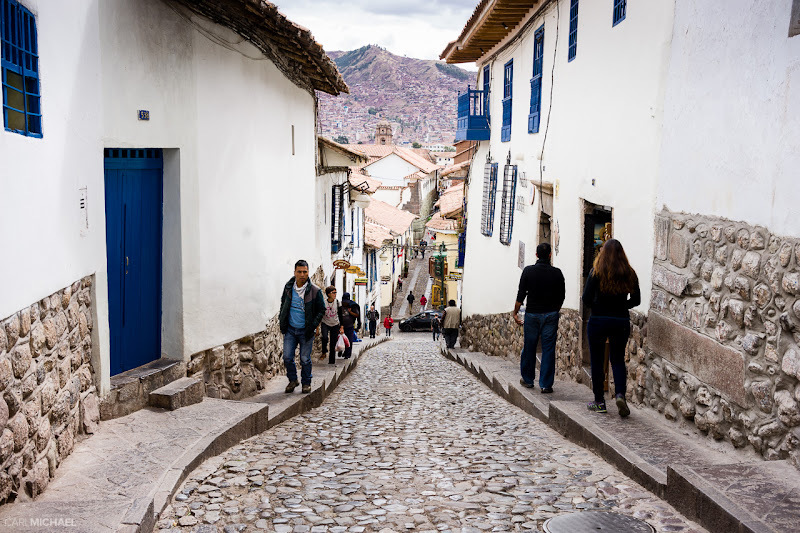 If you’re in the market for an alpaca sweater, some hiking gear, or souvenirs you’ll be well servered in Cusco’s main square and its numerous side streets. While handicraft lovers, should head to Av. El sol. If you actually to want to do some real shopping, you need to get out of the old town and head to the mall. It’s got all the deparment stores, clothes shops, and outlets you’d expect, plus it’s got the only proper supermarket. Yes there are supermarkets in and around the city, but they are small and lack choice.